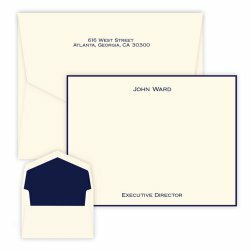 The newly updated Notable Monogram Oversized Note - Raised Ink allows for additional writing space in comparison to a standard-sized foldover note. 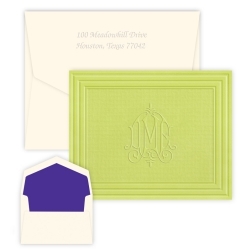 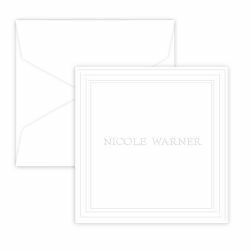 This item (similar to the Delavan selections) features your choice of 10 popular, exclusive monograms in 11 raised ink color options. 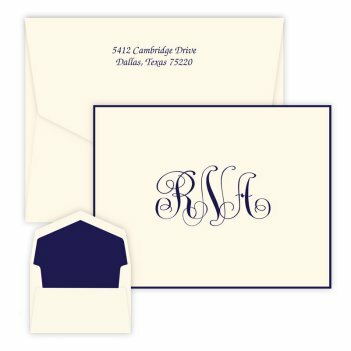 Notable Collection monogram choices include: Classic, Circle, Firenze, Paris, Elise, Whitlock, Madrid, Sienna, Roma, or Diamond monograms.